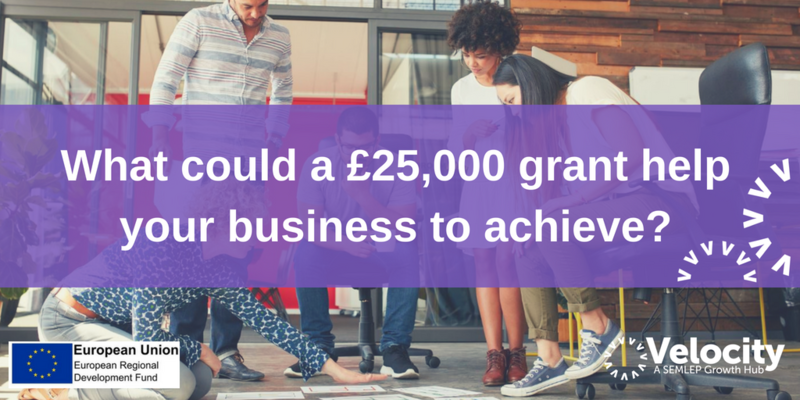 At the Velocity Growth Hub we offer two types of grant funding to help businesses like yours to expand, invest and recruit. Our Revenue Grants of £1,000 – £10,000 are to increase sales, improve productivity, profitability and improve business processes, leading to a job creation. Our Capital Grants of £5,000 – £25,000 are to invest in equipment, machinery, premises or technology to facilitate growth and create jobs. If you are interested in our grant funding, please complete the form below and we will be in contact within 2 work days.